2004 Porsche 911 Carrera 4S Cabriolet in Guards Red All-Wheel Drive, 3.6L H6 SMPI DOHC, 6-Speed Manual with Overdrive, Natural Leather Brown interior. Original Included Options: Natural Leather Brown, Bose High End Sound Package, Remote CD Changer (6 Disc), Supple Leather Front and Rear, Guards Red, Xenon Headlamp Package, Black Top, Stainless Steel Exhaust Pipes, Aluminum Instrument Dials, Sport Exhaust System, Porsche Crest in Headrest, Alum/Lthr Shifter/Brake Handle. Other Features: ABS brakes, Alloy wheels, Electronic Stability Control, Full Leather Seat Trim, Heated door mirrors, Illuminated entry, Remote keyless entry, Traction control. Clean CARFAX. Night Blue Metallic 2018 Porsche Macan Base AWD 2.0L I4 Turbocharged 7-Speed Porsche Doppelkupplung (PDK) Automatically Dimming Exterior Mirrors, Automatically Dimming Interior Mirrors, Bi-Xenon Lighting System w/PDLS, BOSE Surround Sound System, Front & Rear Heated Seats, Premium Package, Trailer Coupling w/o Removable Ball Joint, Wheels: 18" Macan. CARFAX One-Owner. Clean CARFAX. Night Blue 2018 Porsche Macan Base AWD 2.0L I4 Turbocharged 7-Speed Porsche Doppelkupplung (PDK) Automatically Dimming Exterior Mirrors, Automatically Dimming Interior Mirrors, Bi-Xenon Lighting System w/PDLS, BOSE Surround Sound System, Front & Rear Heated Seats, Lane Change Assist (LCA), Porsche Connect, Premium Package, Roof Rails in Black, Trailer Coupling w/o Removable Ball Joint. CARFAX One-Owner. Clean CARFAX. 2018 Porsche Macan ORIGINAL MSRP: $58,720 AWD 2.0L I4 Turbocharged 7-Speed Porsche Doppelkupplung (PDK) PORSCHE CERTIFIED UNLIMITED MILE WARRANTY 14-Way Power Seats, Automatically Dimming Exterior Mirrors, Automatically Dimming Interior Mirrors, Bi-Xenon Headlights in Black w/PDLS, Bi-Xenon Lighting System w/PDLS, BOSE Surround Sound System, Front & Rear Heated Seats, Front Seat Ventilation, Lane Change Assist (LCA), Memory Pkg, Panoramic Roof System, Porsche Entry & Drive, Premium Package Plus, Smoker Package, Steering Wheel Heating, Wheels: 18" Macan. Clean CARFAX. 2018 Porsche Macan ORIGINAL MSRP: $60,490 AWD, 7-Speed Porsche Doppelkupplung (PDK), 2.0L Turbocharged I4, Leather interior in Black / Garnet Red. PORSCHE CERTIFIED UNLIMITED MILE WARRANTY Original Included Options: Trailer hitch without tow ball Steering Wheel Heating Roof Rails in Black Lane Change Assist (LCA) Porsche Dynamic Light System (PDLS) Bose® Surround Sound System 18" Macan Wheels Porsche Doppelkupplung (PDK) Porsche Connect Preparation Two-Tone Leather Interior i.c.w. Seat Ventilation Auto-Dimming Mirrors i.c.w. Driver Memory Package Power Seats (14-way) with Memory Package Premium Package Plus Rhodium Silver Metallic Leather Package in Black/Garnet Red Clean CARFAX. 2018 Porsche Macan Original MSRP: $62,860 AWD 2.0L I4 Turbocharged 7-Speed Porsche Doppelkupplung (PDK) PORSCHE CERTIFIED UNLIMITED MILE WARRANTY low miles, accident free CARFAX, 14-Way Power Seats, Automatically Dimming Exterior Mirrors, Automatically Dimming Interior Mirrors, Bi-Xenon Lighting System w/PDLS, BOSE Surround Sound System, Connect Plus, Front & Rear Heated Seats, Front Seat Ventilation, Heated Front Seats, Lane Change Assist (LCA), Memory Pkg, Panoramic Roof System, Porsche Entry & Drive, Premium Package Plus, Roof Rails in Black, Smoker Package, Steering Wheel Heating, Trailer Coupling w/o Removable Ball Joint, Wheels: 19" Macan Turbo. Clean CARFAX. Arctic Silver Metallic 2002 Porsche 911 Turbo AWD 3.6L H6 SMPI DOHC 6-Speed Manual with Overdrive Odometer is 2180 miles below market average! AWD, 4-Wheel Disc Brakes, Dark Wood Interior Package, Four wheel independent suspension, Heated Front Seats Package, Leather Interior Package, Parking Assist System, Speed-sensing steering, Traction control, Wheel Caps w/Colored Porsche Crest (4). Clean CARFAX. 2018 Porsche Macan ORIGINAL MSRP: $63,470 AWD, 7-Speed Porsche Doppelkupplung (PDK), 2.0L Turbocharged I4, Leather interior in Black. PORSCHE CERTIFIED UNLIMITED MILE WARRANTY Original Included Options: Trailer hitch without tow ball Wheel Center Caps with Colored Porsche Crest Steering Wheel Heating Roof Rails in Black Navigation Module for Porsche Communication Management (PCM) Lane Keep Assist (LKA) i.c.w. Lane Change Assist (LCA) Porsche Dynamic Light System (PDLS) Smoking Package Bose® Surround Sound System 20" RS Spyder Design Wheels Porsche Doppelkupplung (PDK) Agate Grey Metallic Auto-Dimming Mirrors i.c.w. Driver Memory Package Power Seats (14-way) with Memory Package Premium Package Plus Standard Interior in Black Clean CARFAX. 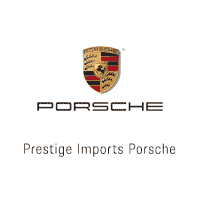 2018 Porsche Cayenne ORIGINAL MSRP: $74,380 AWD 3.6L V6 8-Speed Automatic with Tiptronic PORSCHE CERTIFIED UNLIMITED MILE WARRANTY Black Leather, 14-Way Power Seats, Automatically Dimming Interior & Exterior Mirrors, Bi-Xenon Lighting System, BOSE Surround Sound System, Comfort Lighting Package (PP6), Electric Slide & Tilt Glass Sunroof, Front Seat Heating, Front Seat Ventilation, Memory Package, Power Steering Plus, Premium Package, Reversing Camera w/Front & Rear ParkAssist, Wheels: 19" Cayenne Turbo. Clean CARFAX.